Instant Pricing. Express Checkout. Home Delivery. Roadster’s dealer partners make it possible. Get access to Roadster Dealer lower pricing. Best financing and lease rates. Pick-up your car at the dealership, or have it delivered to your home or office. Pick any model from our partner inventory, or build your own to get exactly what you want. A Sales Consultant will be available to answer questions at every step. Unlock instant, upfront pricing. We’ll apply all available incentives, and ensure you get the best possible lease or finance terms. If you have a trade-in, you’ll receive an online offer for it. Before you make any commitment, we'll send you a deal sheet outlining every aspect of your purchase, including cash, finance and lease alternatives. 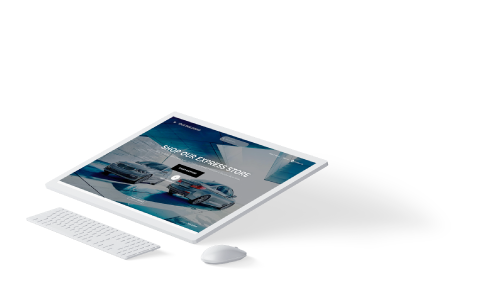 Get a firm online offer from the dealership. We'll factor your trade-in value into your deal sheet and notify you when it’s ready for you to review. 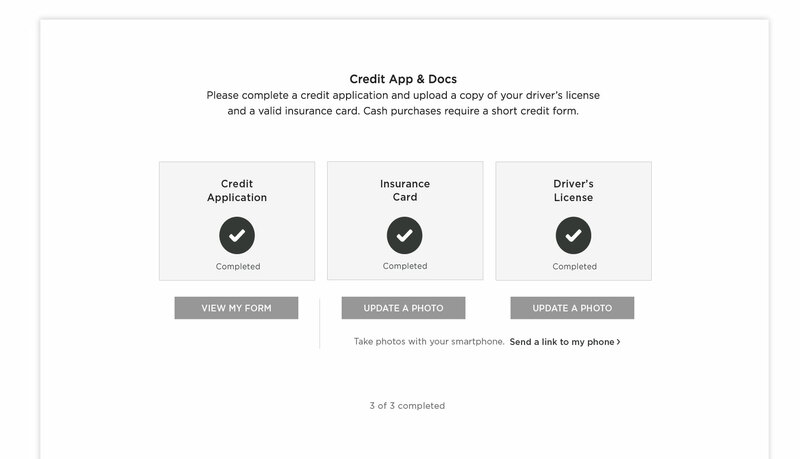 Complete an online credit application (encrypted and secured by two-factor authentication) and upload copies of your driver's license and valid insurance card to get pre-approved for financing. Even if you plan to pay with cash, you’ll need to submit a short form as a federal requirement. This will allow us to provide you with a final deal sheet based on approved credit and purchase eligibility. Review the final deal sheet, with numbers based upon your approved credit. Once you accept it, you’ll be ready to receive your car! Schedule a time to pick up your new car from the dealership or have it brought to you. Most of our dealer partners will deliver your new car to your doorstep with all of the paperwork ready for you to sign. They can show you all of the features of your new car — including how to set up your Bluetooth connection — and even collect your trade-in, if you have one. Our featured dealer partners promise to provide you with upfront and 100% transparent pricing on every detail of your purchase BEFORE you make any commitment — without you ever having to visit their showroom.